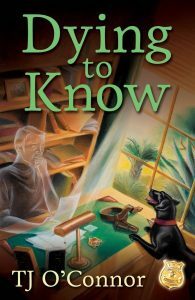 Since publishing my first paranormal mystery, Dying to Know, I’ve published three more. Two in the Oliver Tucker Gumshoe Ghost series (I loathe that moniker), and recently with New Sins for Old Scores. Both these series include a lead character that has some unusual flaws. In my travels and even on some blog responses and reviews, I occasionally get a few eye-rolls or snickers when I talk about my lead characters and how one of them is always living-challenged. Dead. I mean dead. One of my lead characters is always dead. So where is it written that characters in novels—the epitome of make believe and “not real”—have to be alive and breathing? No one giggles at science fiction or werewolf stories, right? So why are there some that think my having a dead detective is somehow a breach of some unwritten, secret handshake protocol? A couple years ago, I had a reviewer say that he felt some of the things that Oliver Tucker did asked the reader to stray way too far from believability. He felt it detracted from my story and was to unrealistic. Really? Yet, Tuck being a dead detective didn’t bother him at all? Come on, have some imagination! Didn’t you ever see Ghost Hunters or Paranormal Lockdown? Ghost? Topper? Please, it’s a novel and it’s meant to be fun and mysterious and allow the reader to escape a little. Unless, of course, werewolves and vampires and invading behemoth amazon women is everyday life. If you start making rules like that, then most novels won’t qualify by someone’s definition of “reality.” I dare say that unless I’ve missed the news, old Agatha killed off more people in England than might have ever lived there. And whoa, now, Jessica Fletcher wiped out most of Main, Vermont, and New Hampshire three times over. Let’s just remember, characters are there to guide us, to tell their story, to entertain and thrill and perhaps even scare us. If they were always absolutely real to life and perfect, then crimes committed would be solved immediately—or never able to be committed in the first place. Our plots just wouldn’t work and stories would be dull. No! I say dead characters are people too! Let me explain my living-challenged characters in my two series—Oliver Tucker’s Gumshoe Ghost Mysteries from Midnight Ink, and my current series, New Sins for Old Scores (series not yet named, but let’s call it the Trick McCall Mysteries. In the opening book in the series, Dying to Know, Oliver “Tuck” Tucker is killed and returns to hunt his own murderer. In each of the novels, there is a combination of a traditional murder mystery, a historical subplot, and a conclusion that culminates with a grander plot that revolves around Tuck’s long-dead family members who have all played significant roles in true historical events—serial killers, 1940’s mobsters, World War II OSS operations, etc. Throughout the stories, Tuck is a sarcastic, savvy detective who works with his widow, history professor Angel Tucker. Her contributions are only possible because of Tuck’s unusual “dead skills.” These skills are not what you see in the movies. They are a bit more unusual. Some of these skills allow him to relive past events of another story character, but only when he touches something personal or an object integral to the crime. For instance, in Dying to Know, Tuck touches a lost bracelet and it brings him to the murder scene where he watches a murder unfold that directly links, decades later, to his own demise. 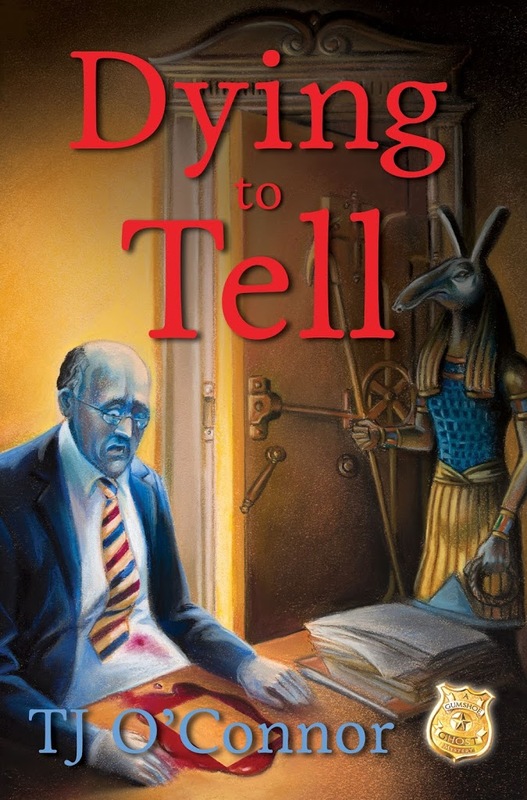 While Tuck is not clairvoyant and cannot instantly solve the murders through spook-visions, his dead-skills do enable him to bring historical clues and evidence into the light and see the crimes from other’s eyes. Along the way in the book, Tuck learns the ropes of being back among the living but not truly one of them. He narratives the stories and after just a few chapters, you’ll forget he’s a dead detective. He’s an integral character who brings a new twist to the traditional murder mystery. So his being a spirit contributes to the uniqueness of the story, but not as a “ghost story.” It’s simply a murder mystery with a paranormal twist. 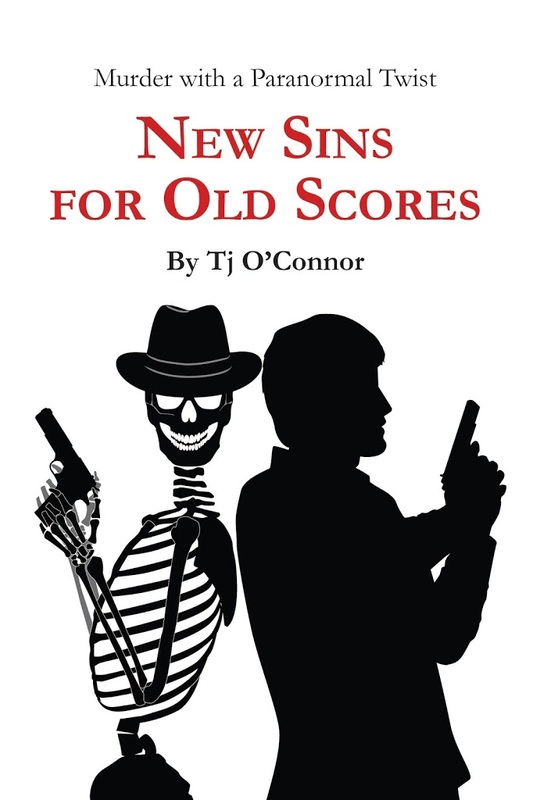 The Trick McCall Mysteries—New Sins for Old Scores: In my latest paranormal mystery, Detective Richard Jax is ambushed at an old inn on a stakeout, he’s saved by Captain Patrick “Trick” McCall—the ghost of a World War II OSS agent. Trick has been waiting since 1944 for a chance to solve his own murder and prove he wasn’t a traitor. Soon, Jax is a suspect in a string of murders. The murders are linked to smuggling refugees out of the Middle East—a plot similar to the World War II “Operation Paperclip,” an OSS operation that brought scientists out of war-torn Europe to work for the US. Together, they hunt for the link between their pasts—aided by the beautiful and brilliant historian, Dr. Alex Vouros—and are on the trail of a killer. Along the way, they are confronted by some of Washington’s elite and one provocative, alluring French Underground agent, Abrielle Chanoux. Somewhere in Trick’s memories is a traitor. That traitor killed him. That traitor is killing again. In this story, Trick McCall is Jax’s spirited sidekick. His dead-skills are similar to Oliver Tucker, but not entirely. Again, Trick is not able to swiftly unmask any killers or have clairvoyance in the cases, but he is able to add new dimension to the mysteries. For instance, he likes to “share” people—possess them and allow relive events they’ve or perhaps he’s seen. 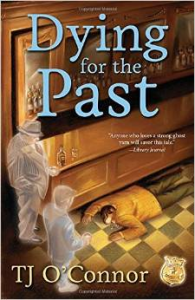 While coming to terms with being a 1940’s man thrust in 2011, Trick’s indifference to computers and cell phones forces Jax to do things the old fashioned way—footwork and chasing clues. Trick is a sarcastic adventurer who still has a love of life—despite his present dead condition. His abilities to travel to other times and places and see events through other’s eyes gives Jax a view of crimes and events that help solve their cases—a paranormal twist that adds a different aspect to the traditional mystery. So, as you can see, my living-challenged characters add a new twist to the traditional murder mystery. They allow me to connect my historic subplots to the modern-day murders and give the characters a view of those historic events to help solve the crimes. With a few exceptions, the characters do not act like the stereotypical ghost. They are active, engaged characters who mostly just talk and act like live, breathing characters. They don’t swish around and boo here and there. You’ll easily forget they are spirits—until they traverse the story’s timeline or “share” a character and bring the reader back 75 years to another time and another murder. Then, you’ll begin to understand the importance of my paranormal twists! Remember, a good detective can be a dead detective. We’ll talk again next time!